As often happens, if we look up the definition of ‘Capital City’ we can find a statement that contradicts reality. According to the dictionary, it is described as ‘the most important city or town of a country or region, usually its seat of government and administrative centre’. Thus, we can assume that in Europe, the Capital should be the most important city and, indeed, it be the seat of its administrative institutions. That could not be less accurate. 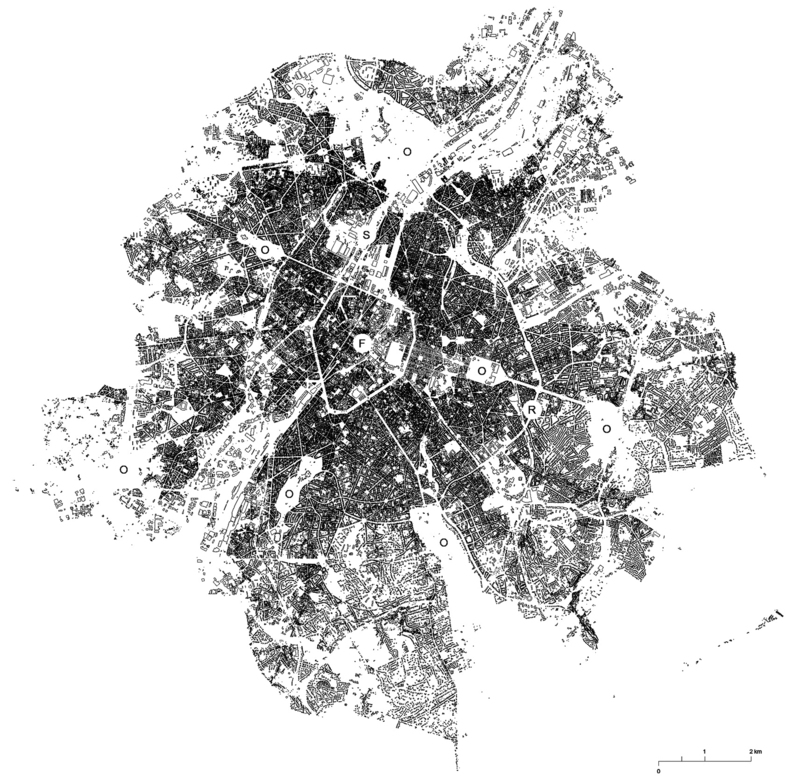 The capital of Europe is not an emblematic city built as a deliberate project, but a city shaped by default, or in other words, by simple accumulation of its administrative institutions. 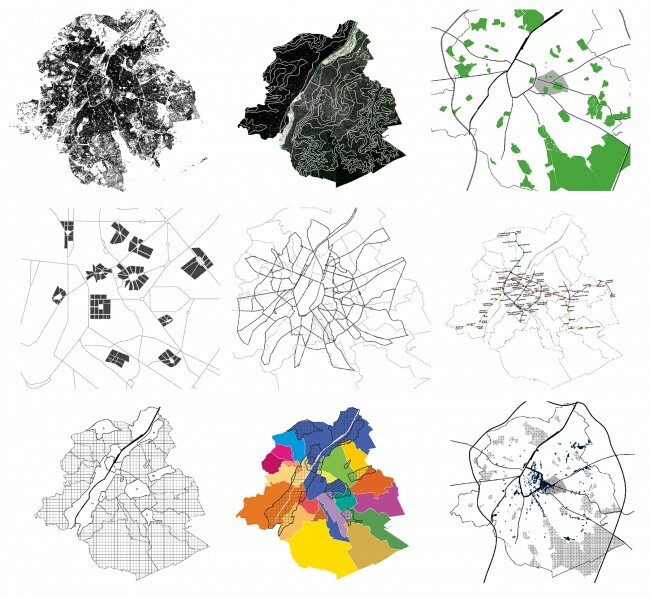 In addition, these institutions are not exclusive to the city but scattered throughout Europe. 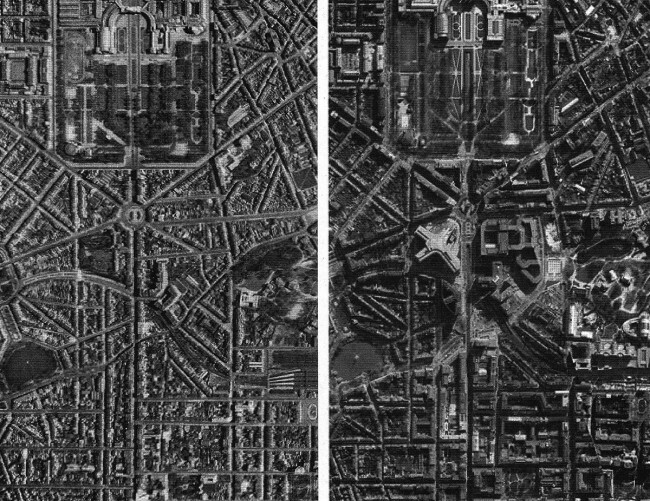 As a consequence, the so-called capital has struggled to acknowledge the presence of Europe: whether as a primary feature of the city or a hidden and unwanted one. This not only raises a question concerned with the relevance and representation of today’s political institutions, but also with the conflict that its indeterminacy causes in the city. This study attempts to explore the conflict between the City of Brussels and the European institutions. The aim is to understand how and why the administrative (capital) city is developed within an existing city, and what causes conflicts between them. 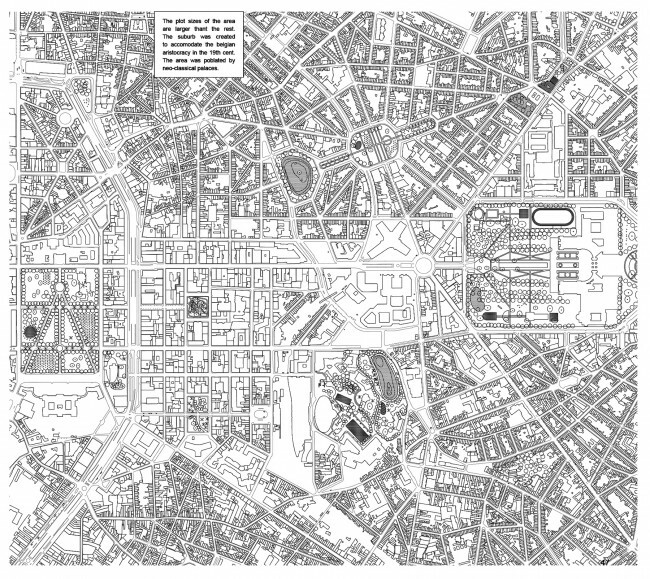 This is examined through specific urban and architectural project, and how this can be intrumentalised in a design proposal itself. The research is structured at different scales, in which the design proposal emerges as a sequence of correlated drawings and analyses. The research aims to become a design process. 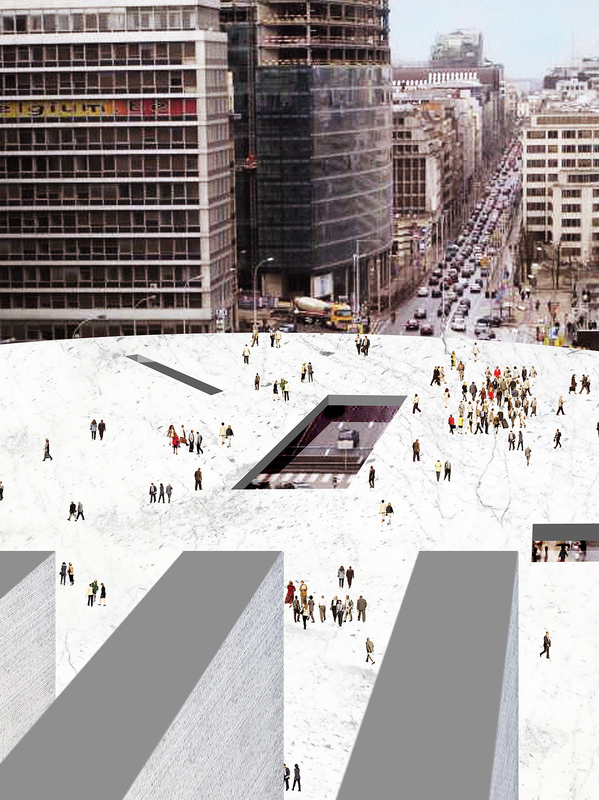 It begins with an introduction of the framework of the topic, which emerges from the recent Masterplan for la Rue de la Loi in Brussels. 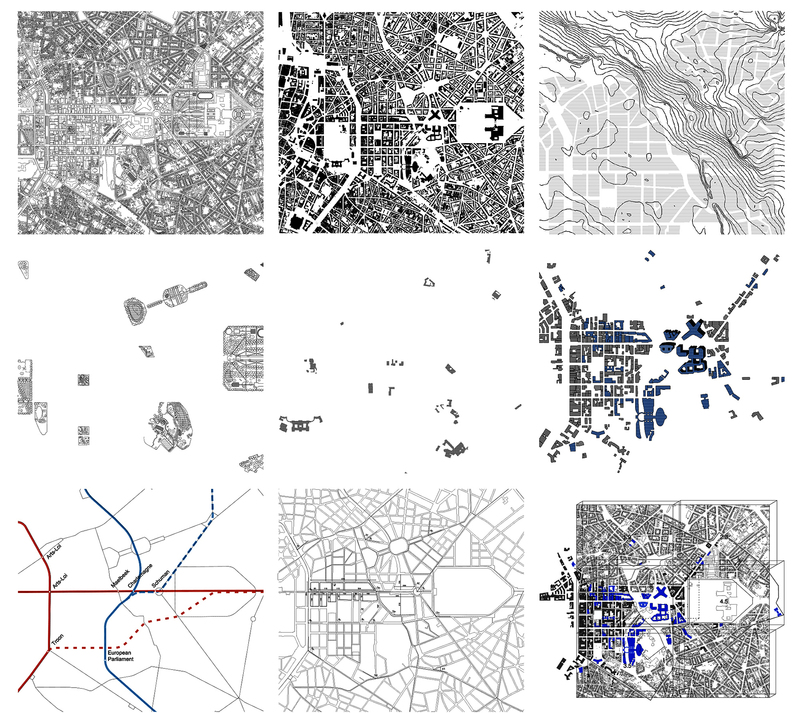 This is followed by a scalar analysis of the city, conveying the particular characteristics of the city. The analysis then focuses on the architectural scale, exploring the issues from which spring a counter proposal for the actual competition. 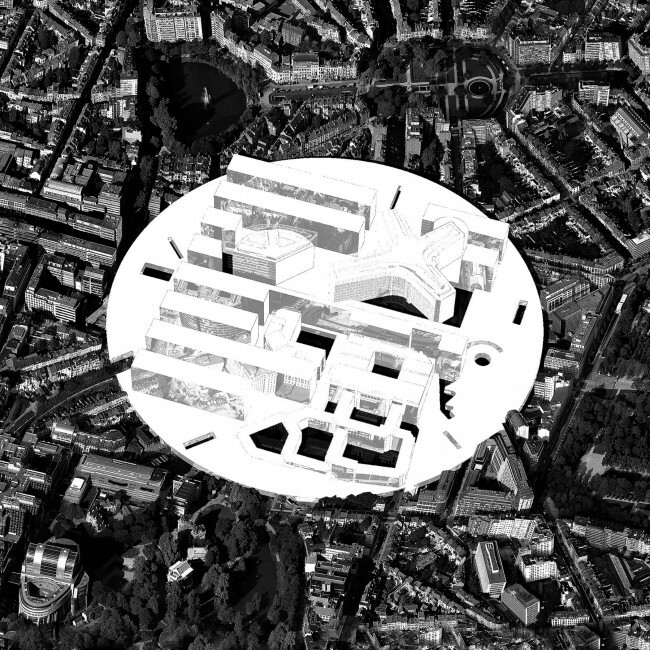 Finally a design proposes attempts to critically addresses the role of administrative buildings in the city of Brussels. The life of the European institutions in Brussels can be divided into three different moments. The first came with a lack of overall planning, a moment in which the buildings of the EU started to occupy the area in uncoordinated patches. Thus, when the area started to become problematic, the prime minister convened an advisory council to look at the European presence in Brussels. 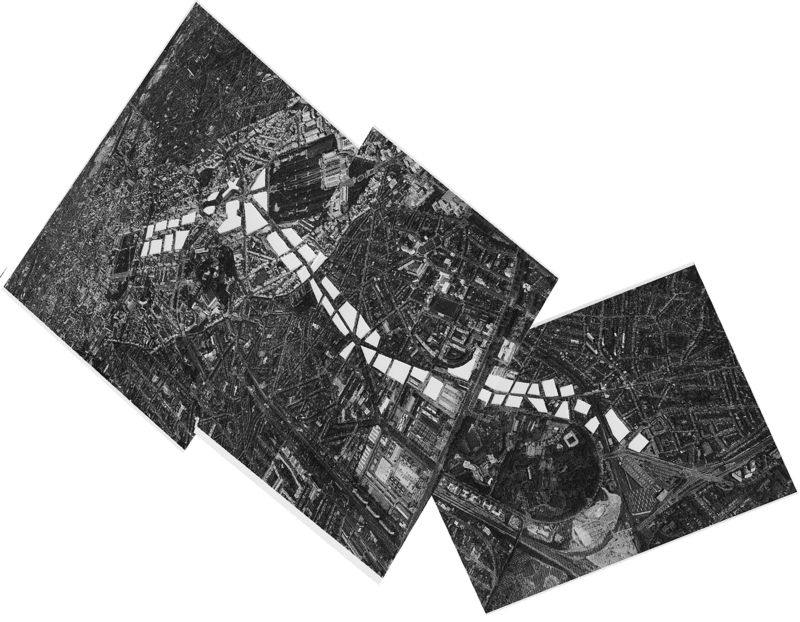 Perceived already as a barren node in the city, the report by the council was followed by a design competition that polarised the presence of the institutions by privileging the pre-existent urban structure. As a result, the second moment was defined by the design of a new masterplan for the district, one that was more concerned with the integration of the area with the city. 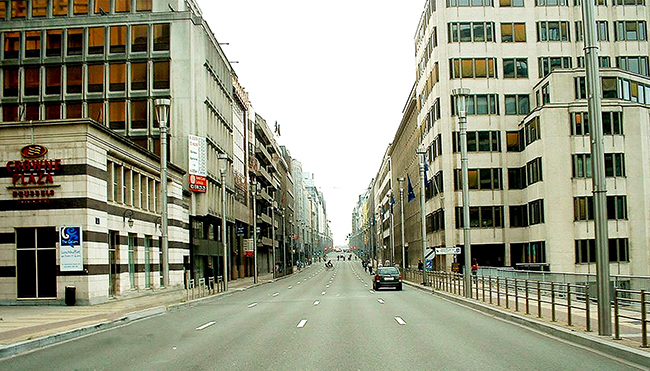 The competition for the Rue de la Loi in 2008 was to be realised and become a major project of transformation. However it was problematic to concentrate a large amount of offices in a limited and already very dense site, and the project claimed to positively change the image of the district by making it mixed-used. Today, we are in the transition towards the third moment, in which the winning proposal is going to be further developed in the forthcoming years. We can identify the awaking of the city to the presence of Europe as the moment in which the political institution of the European Union started to consolidate after the treaty of Maastricht in 1992. 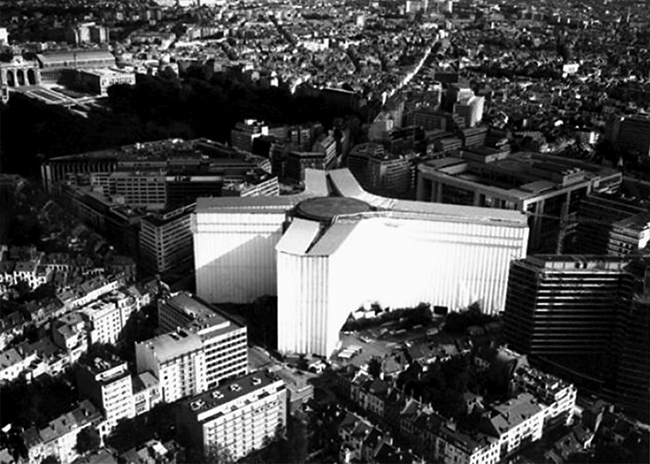 Five years later, the European Parliament and the gigantic Council of the EU (Justus Lipsius building) were already built. The latter was possible due to the city providing a large portion of land in exchange for infrastructural investments. This opportunism has continued since the beginning, and is driven by both sides. Although the city received substantial investments after providing land to the commissions, the EU has used the excuse of integration to upgrade and expand its building stock of offices. The concern about the integration of the site seems to be secondary to the European agenda, since its plans to expand also a decentralisation of the Commissions to the Delta site, near the University of Brussels (ULB) but well-connected by an existing train line to the airport. This plan, however, was recently dismissed as the city no longer supported the option. What follows from these observations, the administrative city has to primarily deal with problems of management. The question of representation and civic nature then becomes less important. It is not a priority of the institutions, who prefer to remain as much hidden as possible. At the same time, it is demanded by those outside the institutions, since their current presence effects the liveability in the city. However, no conclusive answers have been given yet, and that a rather average project was chosen for the Rue de la Loi confirms the indecision by all stakeholders on what the urban or civic role of the EU should be. Maybe the problem of representation of this power is that it does not yet exist anywhere else and a materialisation of its form has yet to be invented. The design exercise in this report explores a representation of power based on the premises of democracy but also accepts the undeniable weight of bureaucracy. 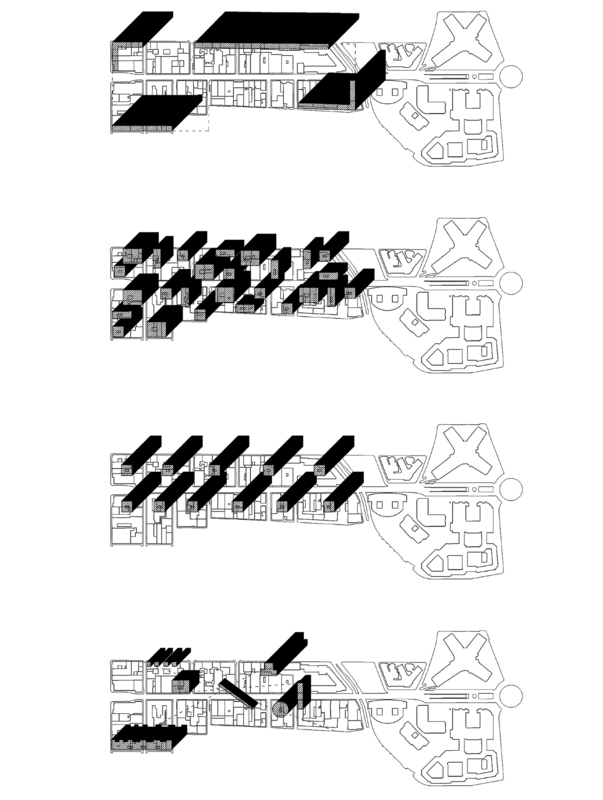 Through an accepted rhetoric of the office building, the proposal performs as an autonomous object that enables different interactions at each of its levels. The ambiguity of each part disappears however when offering a well-defined local environment: where the public space of the platform permits the possibility of being used or not. It allows a redundancy of space, one that however is not perceived as dysfunctional but is added to the ground level, which acts as an urban exchange with functional programmes. The mega-block could exist in any context, its only requirement being an attachment to infrastructure. The need of connectivity appears as a driving force in these particular urban developments, and usually operates at two different levels; one at the scale of the urban, where the site has to be provided with connection to the train station or airport; and the other at the scale of the architectural typology, where the building demands interconnection. In this particular case, the buildings demanded an increase of floor area in order to improve the efficiency and relations between them – thus one could argue that a surplus of space and good interrelations is a structural requirement of European institutions. Therefore, a new typology of office building should provide larger floor areas and enable a direct connection with infrastructure (or form an infrastructure itself), and at the same time, articulate the surrounding space in order to anchor itself in the existing city fabric. A possibility that has not yet been explored by the current proposal. 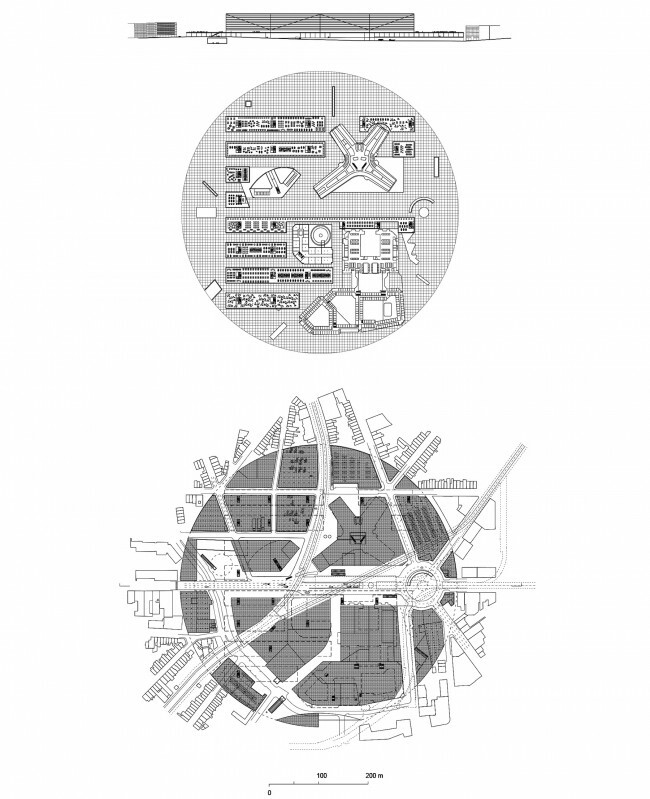 Proposing an open ended reflection, the project takes on the opposite strategy of the current plan, developing the typology of the deep plan office building and the different kind of urbanity it produces. The deep plan is common to office buildings in America, yet very rare in Europe due to the often small plot sizes and the constraint of natural light. 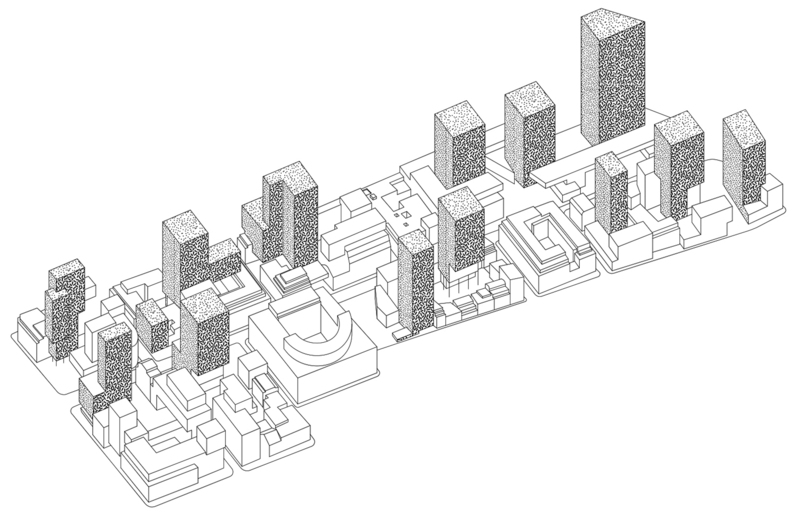 However, this typology can provide the same amount of space as the plan for the Rue de la Loi in a building of the same density but different height. This, importantly, provides a new urban figure. It also gives a clear response to the questions of management, representation and integration, and provides a new infrastructural development that has an effect on the scale of the neighbourhood and to the scale of the country.